The Miami Heat are having the last laugh on all the haters around the country these days, posting 19 wins out of the last 20 games. Dwyane Wade has had a lot to do with his team&apos;s success, and dude has been ballin&apos; out of control as the NBA&apos;s December Player of the Month. He turned a lot of heads when he rocked the AIR JORDAN 2011 on Christmas Day against the Lakers, and the Jordan Brand has lined up Wade to carry the torch now that MJ has retired. As the face of the brand, he is the first to wear new models and he also gets unlimited Jordans in whatever colorway he wants. 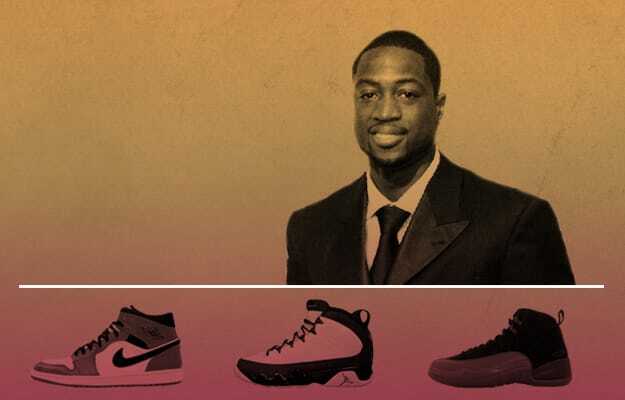 Although our homies at Nice Kicks have Wade&apos;s "Kicks On Court" covered, we&apos;re giving you Flash&apos;s greatest sneaker moments when he&apos;s not on the big screen. Click on to see Dwyane Wade&apos;s Greatest Footwear Moments.